Today, hair straighteners are an absolute must for many girls out there. 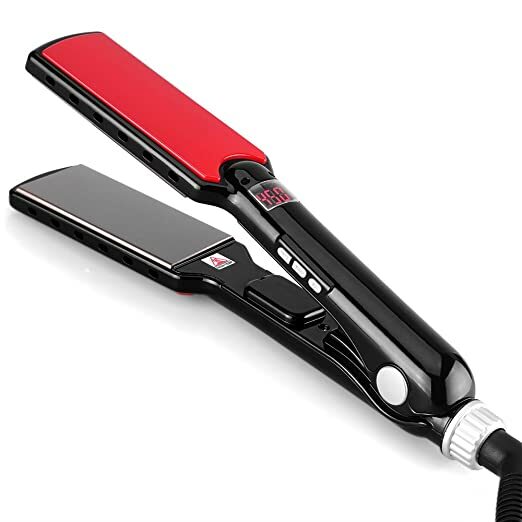 With the many technological advances, there are many varieties of hair straighteners available to suit different kinds of hair and for particular hairstyles. In cases like these, the OSIR Professional is what you need. It is the answer to all your hairstyling requirements. It has numerous features that make this product more interactive and convenient to use; straightening your hair has never been simpler! One of the most beneficial qualities of the OSIR Professional is its user-friendly features. The designer of the product was extremely careful and thoughtful while planning out all its intricate details. 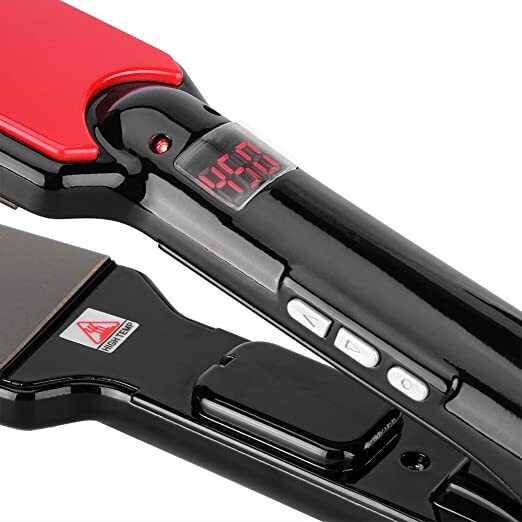 The straightener comes with a LED display which indicates the temperature so that you know when it is ready to use. For example, when you plug in the appliance, you do not need to wait and check every now and then if the temperature is what you want; the LED display does this task automatically. Also, the rods have two pre-installed buttons that have a plus sign and a minus sign made on them. These buttons help you adjust the temperature to suit your hair texture. Everyone’s hair is different, and not everybody can use the same heat level for their hair; this is where the temperature control is crucial. There are many problems when it comes to handling electrical appliances. Many times, your favorite appliance will work in your home country, but when you take it abroad during your vacation, it is likely that the voltage is not suitable. The OSIR Professional is excellent to use in such circumstances. The product is compatible with all types of electricity levels, ranging from 100V to 240V. Since the hair straightener can be used with any voltage, it automatically becomes portable, and you can carry it around anywhere you go. The product weighs 14.4 ounces, but the shipping weight is 1 pound. There is a LED indicator that informs you about the temperature. There are buttons on the rod to control the temperature. The product is compatible with any voltage level. The wire that is attached to the rod is 2.5 m (98.4″) long. A user manual comes along with the package for convenience. A traveling pouch is also available in the package. The iron inside the rod not only straightens your hair within seconds but also adds a silky and shiny effect. The iron is nano-titanium which has a fast speed, making the entire process much quicker than usual. It is an excellent product to work with, especially if you have frizzy, dry, and oily hair. It arrives with a 2-year warranty along with a money-back guarantee. This hair straightener has been well-received by most of its users. There are many satisfied reviews and customers are happy with its performance. Some people bought this product and posted comments that they loved it. Other users are satisfied with the size of the iron plates. One particular user stated that the steel plates are large enough to complete the entire process within a few minutes as they are big enough to take numerous strands of hair at once. The same user was also happy about the fact that despite having thick hair, the straightening process was a success. The appliance did not take much time and completed the job efficiently. Usually, thick hair causes problems for straighteners, but the OSIR Professional managed it like a pro. Other users have also praised its speed. Once it is plugged in, it hardly takes two minutes to heat up. Another user (a professional hairstylist) was impressed with the angle iron that the product provides, which makes it so convenient to straighten your hair without any help. A different user loved the additional buttons that change the temperature; she complimented their fast speed as she stated that it takes less than ten seconds to adjust the heat level. The power cord has also received some good reviews. A certain customer was impressed with the way the cord did not tangle while using the straightener. Its design was complimented as well because it twisted easily while keeping the product back in its original place. On the other hand, a few consumers have made some complaints as well. A particular person stated that since the rod heats up too quickly and there is no support (or a specific part) to put force on, it is hot to touch. If you have thick hair, you need a strong grip on the product, which you cannot have in this case since there is no part of the rod one can hold on to besides the edge. Another user complained that her hair was not smooth after she had completed her straightening. Some others have said that the straightener only manages to work with particular strands of hair and misses out on a few, no matter how many times you pass the rod through them. A different user was fine with the product’s performance but pointed out the reason why she thought that it was just like any other flat iron. Her reasoning was that the appliance is not better than usual products in heating the hair faster or in a better way. Overall, the OSIR Professional is a decent product and one of the most economical ones out there. It has many remarkable features that users can benefit from, and if you can get it at its discount price within a particular period, it’s great.